Salt hills backdrop the industrial plant and equipment in the Camargue region of Provence, France. The salt hills which backdrop the industrial equipment are the result of the salt extracted from the waters of the Camargue in Provence, France. The Romans begun the salt industry in the 1st century and today the Camargue salt works at the plant are one of the largest in the world.Salt Industry, Parc Naturel Regional de Camargue, Plaine de la Camargue, Camargue, Les Bouches du Rhone, Provence, France, Europe. 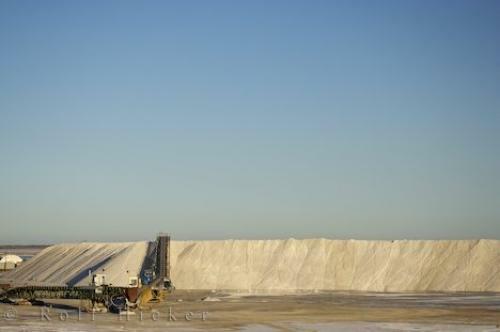 Photo of the salt hills at an industrial plant in the Camargue region of Provence, France in Europe.